Farm Woodland Forum will have its annual meeting in 5th and 6th of June, in Battleby, Scotland. The topic of the meeting this year will be ‘Farm Forestry integration’. "Integrating farming and forestry is key to a more diverse, well managed and profitable business. The benefits are well documented but what are the opportunities? ", says Mike Strachan, Farm Woodland Forum's chairman. The Farm Woodland Forum aims to facilitate the generation and exchange of information that supports best practice in and improves opportunities for farming with trees. 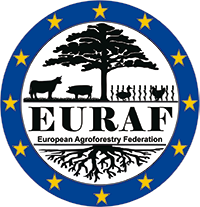 The Forum holds annual meetings at which there are presentations to describe the latest research, development and practice related to agroforestry and farming with trees. There are also field visits to sites of interest. For further information Mike [dot] Strachan [at] forestry [dot] gov [dot] scot (click here).